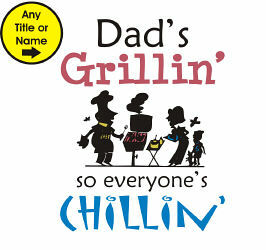 When dad is grilling, everyone can sit back and relax especially while he is wearing our Personalized Aprons. 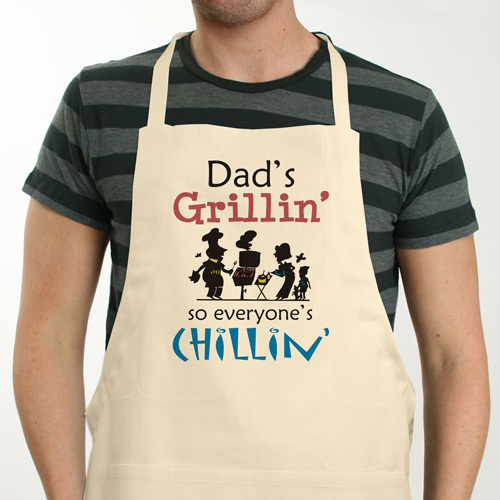 This cool BBQ apron is perfect for summer outings with the family or firing up the grill for the 4th of July. 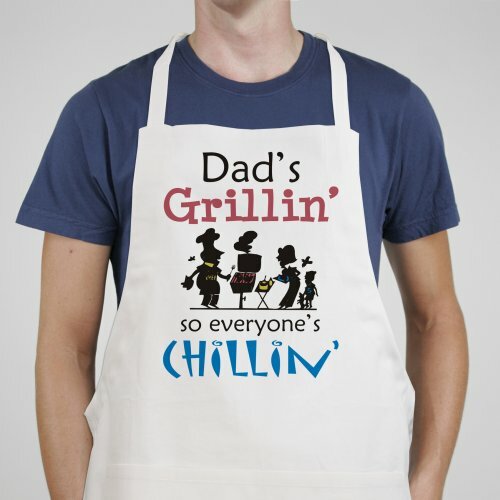 The Personalize Chef Apron can be customized with any name. Exactly what is described. Very much pleased with the quality. My son inlaw loves it !!! Turned out great, looks awesome and fits good. My brother cooks on the grill all the time for our family get togethers and he had an absolute fit over this apron. Having it personalized made it even better.